What Should You Expect from the Best Pediatric Dentist in Parker? We are happy you’ve chosen our office to be your child’s dental home. When you walk through our door you will be met by our friendly staff, ready to provide your family the highest quality care available. We strive to be the best pediatric dentist in Parker to assure your experience is outstanding. 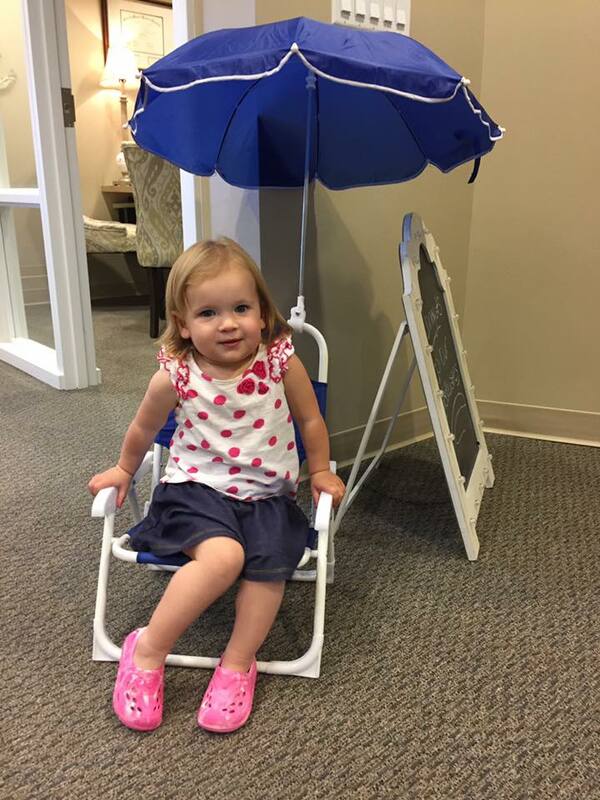 We see children of all ages at our office. The American Academy of Pediatric Dentistry recommends that children start seeing a pediatric dentist as soon as the first tooth has arrived or by the age of one year. We want our patients to look forward to their first visit with Kaelin Pediatric Dentistry. How you get ready for that first visit can be significant. Starting off on the right foot is important to building a strong relationship between doctor and patient that will last through your child’s adolescence. Dr. Kaelin prides herself on the fact that she has had the privilege of treating more than one generation within the same family. It’s important to try to put your child at ease about going to the dentist, so you don’t want to say anything that might scare them. We like to suggest to parents that they downplay talking about their own past dental experiences. Most pediatric procedures are much less invasive than what you may have undergone as an adult patient. It is also best not to go into too much detail about what may happen during the exam. Dr. Kaelin is very good at explaining procedures step by step. She lets her patients see all the dental instruments beforehand, and demonstrates what they are used for. If she senses that her patient is uncomfortable in any way she will stop the procedure and see to the problem. Parents are always welcome in the exam room. Your child will be introduced to a toothbrush during this first visit. If they are not already familiar with the process, you can begin by practicing brushing at home so that they will know what to expect. Older children can begin experimenting with some of the different types of dental flosses available. Please let us know if your child has any habits that could affect his or her dental health. Dr. Kaelin will want to be aware of thumb sucking or excessive use of a pacifier. If you’ve noticed that your child grinds his or her teeth at night, be sure to mention that too. It can be discouraged by wearing a mouth guard that can be fitted in the office. Dr. Kaelin will ask that you follow up the first visit by promoting good oral health habits at home. We will give you products to take home, and we will schedule your next appointment before you leave the office.